Liases Foras, founded in 1998, is the only non - broking real estate research company in India. Data and science form the core of our services, which range from providing market intelligence and risk advisory to lenders and mortgage companies, to providing development advice, best use, and valuations to developers, funds, banks and corporations. We cater to a wide spectrum of clients including banks, HFCs, developers, funds, mortgage insurance companies, etc. and help them identify opportunities as well as associated risks in the market. Our expertise lies in the area of real estate pricing with a strong focus on understanding the dynamics of price and analysing any underlying risks. We firmly believe that no matter how complex and ambiguous the real estate industry might seem, in reality, prices are governed by the laws of economic geography and urban economics. Liases Foras is well acknowledged as a leading authority on real estate research and analysis, and many of our clients have benefited hugely from the robust database on real estate markets in India, that we provide. Our database is built using data collected since 2003 and as of today, covers 60 cities across India. Our deep-dive and comprehensive approach covers various dimensions of real estate behaviour and since we are a non-brokerage company, our advice and analysis is completely unbiased. We can therefore boast of offering not only an exhaustive database of real estate performance, but also advisory services that are unparalleled in the industry. We have pioneered the science of self-generated real estate research to look beyond ‘market sentiment’ and counter misconceptions by relying on robust data, scientific theories and rational thinking. We are proud to be a strategic partner of the highly diversified DMG Group. The group operates in 40 countries across the world and its revenue in 2014 was over USD 3 billion. DMG is invested in a variety of spaces – from media and energy to land & property, and education as well. The group caters to both business and consumer audiences. DMG information handles over 95% of the United Kingdom’s valuation workflow for lenders and much more in the real estate sector. Landmark UK (a subsidiary of DMGi) identifies and translates environmental and property risks into facts, insights and opportunities. Using data and technology they deliver intelligence and solutions that enable informed decision-making. DMGi’s clients include banks, valuators, environmental professionals, lawyers, and architects. DMGi Land & Property Europe, is an acknowledged leader in data analytics and workflow solutions to the commercial and residential property markets in Europe. It serves multiple customer segments through its leading brands including Landmark, Argyll, Quest, SearchFlow and On-Geo. Liases Foras has, for almost two decades, strived to find answers behind the inefficiencies in the real estate sector. Our strength lies in real estate risk assessment, market research, due diligence and advisory services. We employ cutting edge analytics to deliver an array of data driven knowledge bytes and valuable, processed information that can be used to make key decisions. From the days of only collating data, reporting and monitoring real estate supply, Liases Foras has transformed into a trustworthy think-tank and has taken research to new horizons. Decoded the science of property pricing. Our unique modelling system integrates key factors governing real estate pricing such as distance, economic density, surroundings and product (building or unit) to provide an accurate value of any property. Introduced sales velocity and price equations in our calculations, which address the critical gaps in real estate valuations. Emerged as a leading authority on the subject with the most structured database on real estate markets in India- covering over 56 census cities. Formulated Developers’ Rating Tool — a model which measures on-ground performance and the capability of developers to meet their commitment to consumers. Established ourselves as a dependable source of advisory services and customised research to lenders and developers. Conceptualized the ‘Magnet Theory’ of future price projection. Launched India’s first ever real estate sensitivity index, RESSEX. 120 + professionals with real estate domain knowledge, data analytics and tech capabilities work at Liases Foras. The team comprises architects, planners, CAs, statisticians, MBAs, engineers and surveyors. 20+ years of experience in the field of valuation,consulting and risk analytics. 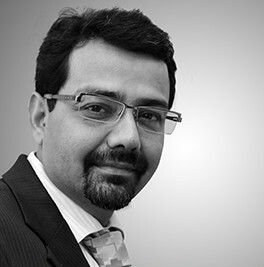 He is an acclaimed expert in analysing and predicting real estate market trends in India. Pankaj is best known in the industry for bringing in scientific approach and for developing reliable market database. With our real estate domain knowledge, largest data base and IT capabilities, we are the only one in this space to provide intricate valuation and mapping solution. 120 + Professionals with real estate domain knowledge, data analytics and tech capabilities. The team consists of Architects, Planners, CAs, MBAs, Engineers and Surveyors. Started collecting real estate data in eight cities for HDFC Ltd.